My son Kyle is a basketball superstar, or at least he likes to think of himself that way. However, as a basketball mom and a former military member, I know a thing or two about head injuries and would always worry whenever he had a game. Now I have a lot more peace of mind with 2nd Skull®. This is a sponsored post in partnership with 2nd Skull® and The Motherhood. I received complimentary product as part of this partnership; all opinions are my own. 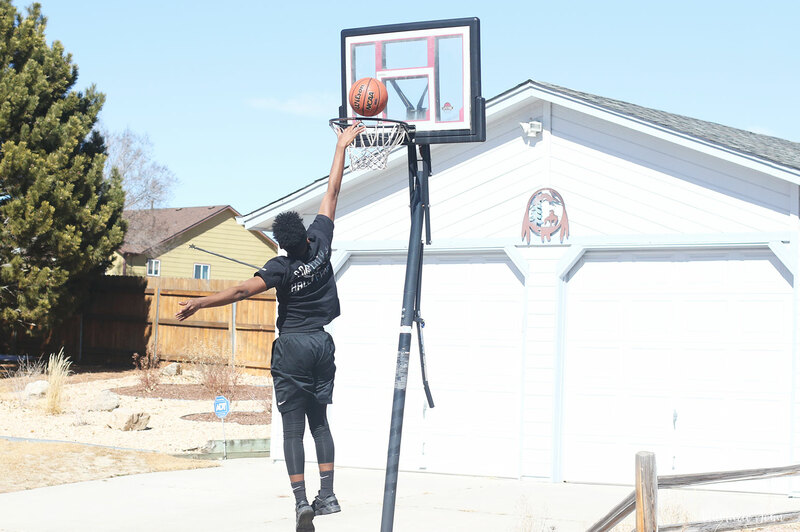 If you're a sport mom, whether it be basketball or football, or any sport for that matter, one of our worry is that our child would be hurt while playing. Head injuries are by far the most dangerous. Head injuries can lead to concussions, which can also lead to death, and that is something we want to avoid at all cost. While helmets have proven effective, an extra layer of protection can't hurt, can it? 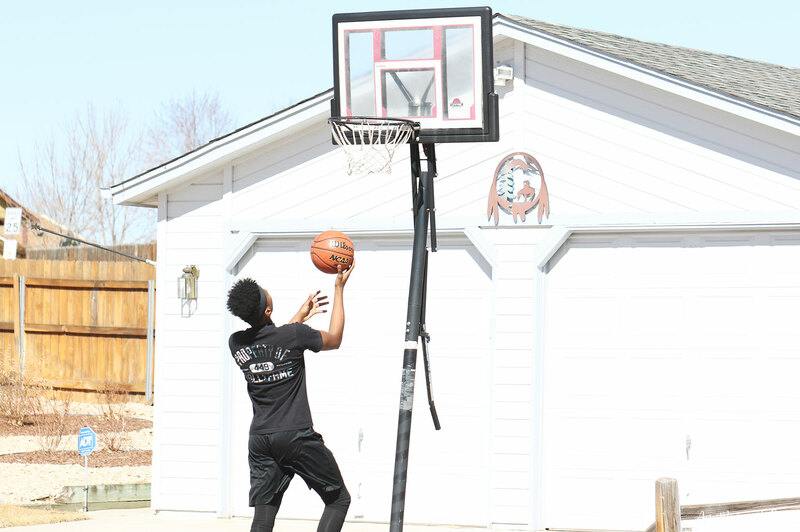 Kyle plays a sport where he doesn't use a helmet, and have bumped heads with other players while trying to perform a dunk into the hoop, or even while trying to steal the ball. After every game, especially after an accident I would ask "are you alright? ", "does your head hurt?". So when given the chance to experience the 2nd Skull® Band, I was excited. Kyle, not so much. Not only does he not like taking photos, but he couldn't see how a "headband" (his words), could really help. Boy is he choking on his words now! 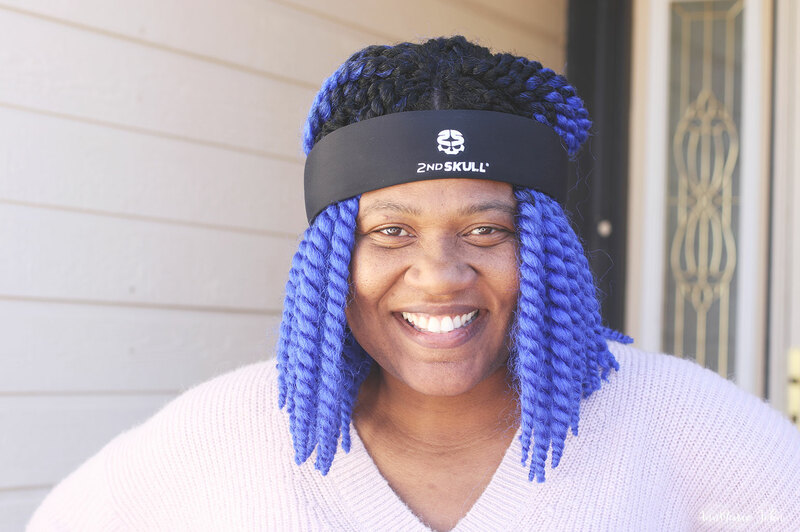 When the 2nd Skull® Band arrived, I was really impressed with the design and even tried it on my own head, and was amazed at how comfortable it was. Here is what you should know about 2nd Skull®. 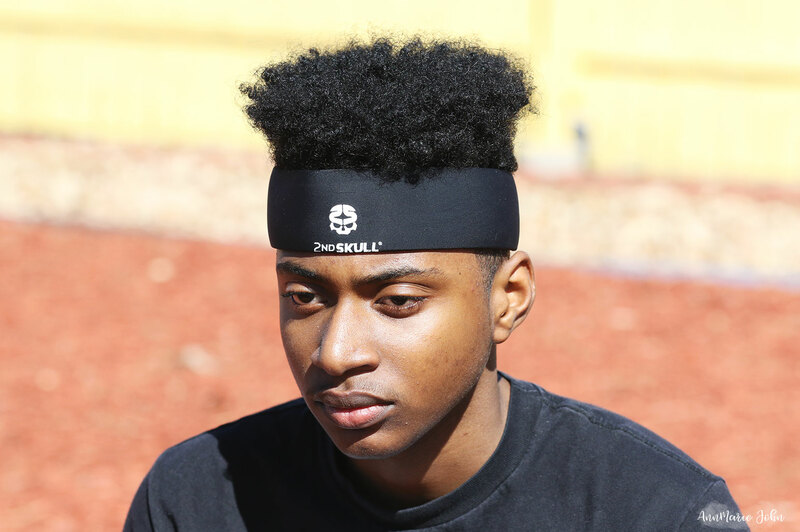 2nd Skull® is the manufacturer of a patented protective skull cap that fits under helmets to improve safety and mitigate the impact of blows to the head. I am all about products being manufactured in the U.S. Just having that U.S stamp makes me feel so much more comfortable about purchasing a product, and 2nd Skull® is manufactured right here in the good ole USA. Currently there is a skull cap and the band. The skull cap is a compressive, antimicrobial cap with an extra thin layer of XRD® Technology, an extreme energy absorbing material. This material is made with special urethane molecules that are soft and flexible at rest and then momentarily harden under sudden pressure. 2nd Skull® has conducted biomechanical testing at independent labs in North America and the United Kingdom that has shown the skull cap reduces both rotational and linear impact when worn under football and other athletic helmets. Now it was Kyle's turn to give the 2nd Skull® Band a try and these were his words. "Wow, I like it. This would really work!". So I asked: "What do you like about it?' - to which his response was "I like how thick it feels, so if I bump into one of the guys I wouldn't feel it as much on my head." That's what I wanted to hear! And also what most sport parents want to hear as well. Since he doesn't use a helmet when playing basketball, the added protection from this stylish band gives me so much peace of mind. There is also moisture wicking for those sweaty games so it's not dripping down into his face, and best of all it stays in place when he's playing. It's also antimicrobial treated so that it doesn't stink, but when he's done, it's as simple as throwing it in the washing machine and it comes out clean once again. 2nd Skull is now his go to product whenever he's playing sports. 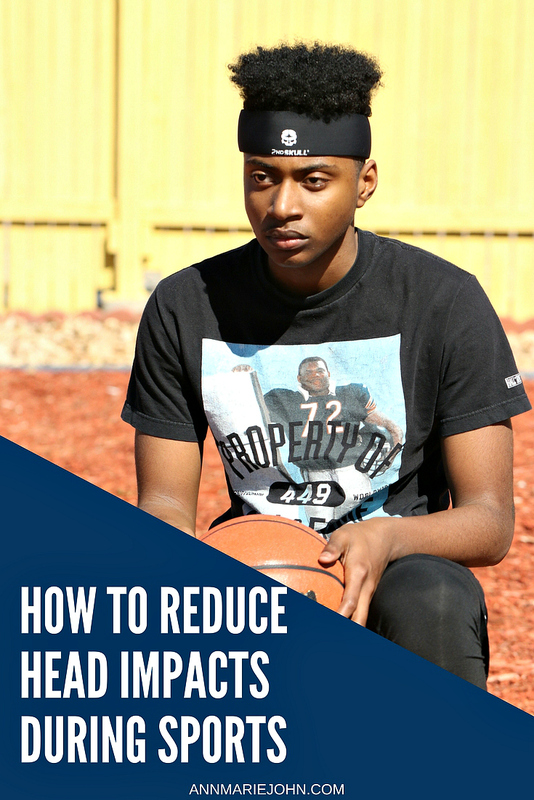 Now those bumps to the head are not as terrible as they used to be since his 2nd Skull® absorbs the impact. You too can reduce those head impacts while your own kids play sports by purchasing either the 2nd Skull® Cap or the Band. Scientists have not reached agreement on how the results of impact absorption tests relate to neck, head, or brain injuries, including concussions. No conclusions about a reduction of risk or severity of neck, head, or brain injuries, including concussions, should be drawn from impact absorption tests. I am going to have to get one of these for each of my boys. The thought of head injuries scares me. I think it scares most parents. I know that my son is at risk and it really doesn't matter which sport you play. Even tennis players get hit in their head with balls. Reducing the impact makes such a difference. Thank you so much for sharing this. The more information comes out about head injuries in sports and their long term problems, the more nervous I get. Yes, when we hear all the reports we surely can get nervous, but that doesn't mean that we should stop playing, just use some protection. This would be scary! My son doesn't play any sports, but my daughter might. I'll have to keep this in mind! It doesn't have to be scary, just be informed. Just because I know that head injuries happen, that doesn't mean that I want my sons to stop playing what they love. I just protect them now. My girls never played sports, but I would have definitely looked into getting this if they did. Having a kid out on the field or the court can be scary for a parent. This would definitely help give a little more peace of mind. It really does and I'm so glad that I was able to try it out for ourselves. Kyle now uses it whenever he plays or even practices. Now I have never heard of anything like this but it such a great idea to have something that is so simple but can help reduce impact! And who would have thought that something so simple could do so much? We are loving it here in our family. I love this my son plays primarily basketball too so I would love to protect him from concussions. I have not seen any head injuries this year but this Skull is a great product. While this doesn't guarantee that it will prevent concussions, it can reduce the impact to his head and that's what you want. This is my first time hearing about this product and I'm definitely at awe at how much protection it can give athletes, especially the kids! Talk about parents worrying less about their kids when they play! And we all know how us parents can worry. Every time he would hit his head I would worry about what could happen, now I feel so much better. Yes they are! It was one of the reasons why I was happy that he decided on basketball instead of football, but regardless you can get head injuries no matter what sport you engage in as you very well know. Wow I haven't seen this on the market yet, but will have to pick it up for my son. He is a huge sport player and could definitely benefit wearing one of these! Yes he surely will benefit from using one of these for sure. Be sure to pick up either the cap which fits well under helmets if he plays football, or the band which is great for games where helmets aren't required. When it comes to our kid's safety, you can never be too careful. I love the idea of an extra layer of head protection with this band. I am glad you said it is moisture wicking because at first I wondered if it would get hot, but it seems like it's well made (of course, since it is a USA made product) for sports. That's what I loved about it as well. When my son would wear regular "sporty" headbands, when he sweat, sometimes he would have it dripping down into his eyes and he complained about it. Now he doesn't, and since it's made in the USA, I also feel so much better about it as well. Head injuries are so traumatic for all. I'm so glad they're thinking of this. I know a guy who's had THREE concussions! Three concussions??!! Oh my goodness! He can surely benefit from 2nd Skull products for sure. I can't even begin to imagine what he goes through. I am seriously going to have to check this out for my older daughter when spring soccer season starts up next month. So thanks so much for sharing here! You really should Janine. Anything that we can use to protect our little one's head and to give us that extra added security is a must. You're going to love 2nd Skull and guess what? It also comes in pink! I haven't heard of it until now, but I'm glad you brought it up! I saw a practice recently where it was more like football than basketball. I don't know if they just slicked the floor or what, but kids were tumbling over each other left and right, sometimes in a pile. When my son went down, I was mildly alarmed because a couple of kids went right on top of him, like they were tackling him. Parents were laughing, but I wasn't. Like you, I understand the seriousness that can occur from bumping your head! Oh my goodness!! I couldn't even begin to imagine what that must have been like. I wouldn't have been laughing either because head injuries are no laughing matter. Hopefully you can get him one of these to keep his head safe. We are playing softball every summer I definitely want to consider to have one of this. Head protector is so important in any sport. Better be safe than sorry. You better believe it, and you're right, it's better safe than sorry. I think that every parent who has a child involved in sports should own one of these. While I'm not sure which country you live in, head protection is important no matter where you live. However, there are a few countries where you can shop from. One of the my concerns whenever I see our boys playing sports. You always want to plan ahead. Thanks for sharing these tips. It is a concern no matter what sport you play and that's why the cap is great for under helmets and the band for those who don't wear one. Crashes can have serious consequences so I can definitely see why 2nd skull would give you peace of mind. I like that he gave the headband a second seal of approval, that is great news! He loved it!! And he's currently considering getting a cap as well to wear and I'm so proud that he's considering head protection. That's a great idea! Head injuries can happen at any time with any sport so having this to reduce the impact to your head is a great idea. Wow this is so fantastic! As someone who had a pretty bad head injury it really is important to prevent them from having. I can't even imagine these high impact sports and the toll on the body so it's amazing to see technology like this come out. I'm so sorry to hear about your head injury, while 2nd Skull won't prevent a head injury, it can lower the impact which is what you want. This can really come in handy. I know as a mom, I would love for my son to wear this while playing sports. Like you said head injuries are no joke. They really aren't. There has been so many stories about kids getting hurt because they weren't wearing protection. This added protection from 2nd Skull is something each parent should have for their child who engages in sports. Skull protection is super important. I know of some situations where people have been paralyzed or fell into comas. I hope more people see this. Thanks for sharing! Yes there has been numerous incidents of that happening, so having head protection is super important. Thanks for stopping by. This looks and sounds like a great product! My son will be playing his first season of tackle this year and I am so nervous! Oh boy, I can just imagine how nervous you can be with a sport like that. That's why having 2nd Skull is important and maybe something you should look into having for him. My nephew plays both basketball and football. This would be great for him. And you can be the best auntie by buying one or both for him. The cap is perfect for under his helmet and the band is sporty enough for basketball. I can imagine how good this would be for football safety for for baseball players while they are in the batters box. And the fact that it's comfortable too is such a great thing. It sounds like such a great idea. That's the thing about 2nd Skull, it's great for all sports and it is rather comfortable. I was really surprised myself. That sounds like a great product. I am sure it would put a lot of sports moms' minds at ease knowing their kids have a little extra protection! Yes it really would. I know that it did put my mind at ease when my son first started wearing it. While I still worry, I don't worry AS MUCH. I would've never thought that a simple product could be so helpful! I need to get one for my nephew! He just turned 8! Me neither, and neither did my son, but it really is. You should certainly get one for him, and I'm sure his parents and him, would appreciate it. My brother is an athlete himself. He plays basketball, tennis and cricket. Atleast cricket does allow him to wear a helmet but the other two sports don't! I would definitely recommend this to my brother, I'm sure he'll love it! That's the thing about this, it's great for all sports. You can use the cap under your cricket helmet. I used to play cricket when I was younger, but never wore a helmet for it. This yes is a great product for all sports players. It doesn't matter which sport you play, you should always have some sort of head protection. Head injuries are nothing to mess with. Thanks for sharing this product and resource on your blog. I hope many will save (and not have to use) but will at least be prepared!! You can never be too prepared when it comes to head protection and this is such a lifesaver. Head injuries sure isn't anything to mess with.